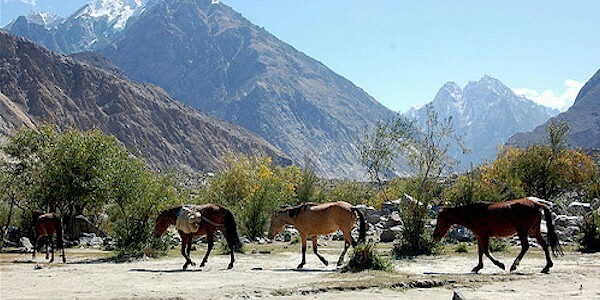 Bakhtiari horses are native to Pakistan and have distinctive turned in ears (similar to those of the Marwari horse). They are believed to be related to Barb horses and are known for their strength, endurance, and fine confirmation. Today their bloodlines have been diluted to the point there are very few of pure lineage, making this an incredibly rare breed. They are on average height 14 hands tall, have a medium sized fine head with a straight or slightly convex profile. Their eyes are large and expressive. Their neck is long and muscular. Their back is short and strong. Their legs are fine and strong with good joints and defined tendons. And their feet are very hard and strong. They are found in black, grey, and bay.